Why No-Blade LASIK Is Your Best Bet | John Frangie, M.D. Your vision is too important to gamble with, so it’s worth learning about the ways you can perfect it as safely as possible. Glasses and contact lenses are good standbys, but you might be a good candidate for a more permanent option: Laser eye surgery. LASIK techniques have evolved dramatically since the procedure became widely available in the late 1990s, giving patients better results with less risk. Both conventional and blade-free modern procedures involve similar steps for creating a corneal flap and reshaping the eye’s surface with directed laser pulses. The difference is that no-blade LASIK surgery uses a laser instead of a knife to remove the upper layer of the cornea before reshaping the tissue beneath it. Here’s why going blade-free could be your best choice. Conventional LASIK procedures use a specialized blade called a microkeratome to make the initial incision and reveal the inner corneal surface to be reshaped. A bladeless technique gives the surgeon more precise control when creating the flap. The laser pulses are carefully placed to allow your doctor to customize the procedure for the shape and thickness of your cornea, which is more challenging to do with a blade. 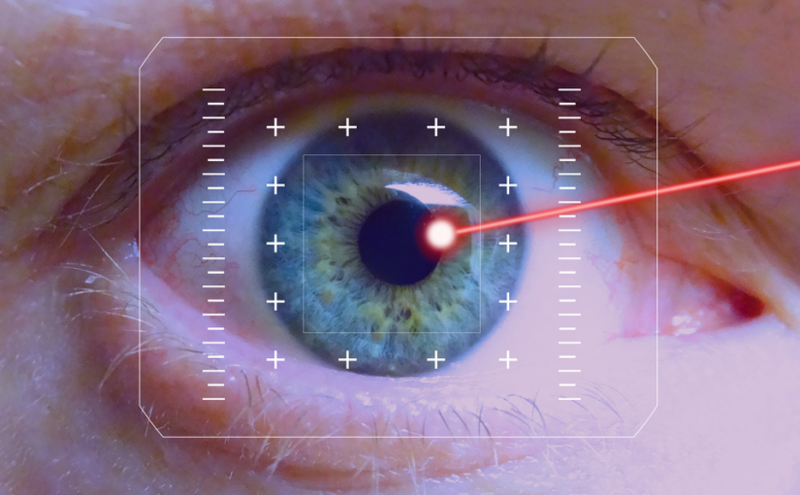 As laser-assisted eye surgery has evolved, complication rates have steadily decreased. One reason for this trend is the rise of bladeless technology. In a 2015 study on corneal surgery, patients who chose no-blade LASIK eye surgery had fewer complications and less risk of scarring than those who had conventional procedures. Infection is rare for any LASIK procedure, but the small risk of post-surgical infections is reduced further with blade-free eye surgery. The recovery time for traditional LASIK is fairly short, but no-blade LASIK procedures typically have an even shorter recovery period. Unlike a physical blade, a laser is always uniform, leaving smoother surfaces that heal more quickly. Many patients report less inflammation and greater comfort after blade-free eye surgery than people who chose conventional LASIK surgery. The point of any LASIK procedure is to perfect your vision as much as possible, and blade-free LASIK surgery comes closer to achieving that goal. A reduced risk of scarring may mean better vision in low light and less eye dryness throughout the day. Because your surgeon can customize the shape and size of the corneal flap during your first procedure, you’re less likely to need additional sessions to correct your vision further. Uneven corneal corrections can also introduce astigmatism, and bladeless procedures are less likely to leave uneven surfaces on the corneal flap. Your current pair of eyes are the only ones you’ll ever have, so it makes sense to have all the facts before deciding on the best LASIK procedure for you. If you have questions, call us and get complete answers in plain English. Dr. John Frangie is ready to talk with you about blade-free LASIK and other options to improve your vision.